Anyway, we've all seen video results in Google at some point, right? But have you ever wondered why some searches show videos while others display only text links? And for some keywords, such as "traffic secrets" or "butter chicken recipe", you can be pretty certain that the results would be nothing but videos! Did you see how the video results have even outperformed heavy-weight sites like Facebook and even the author's site? You know, many marketers often use this to rank their videos over the competitor's site. So how do you make Google put your video at top of the search results? To answer that, we need to first understand that Google does not show video results for all searches. Only for some particular types of searches does it include the video results. If we can figure out what those searches are, half the battle is won! This is because once we know what those keywords are, we also know exactly how to optimize our video for that keyword. So how can we find these keywords? Is there a pattern to identify or guess these keywords? Video trigger #1: Use the "How-to" keywords! There are certain keywords which seem to show video results almost every-time. I call them the How-Do-I keywords because when someone is using it, it generally indicates that the searcher is interested in learning or seeing something. 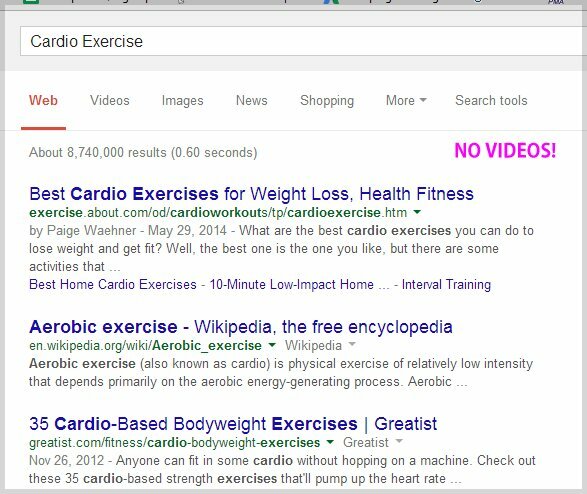 For example, if your keyword is "Cardio Exercise" you can make it "Cardio Exercise Tutorial" (more visual) which gives video results first. - "keyword tutorial", e.g. "article video robot tutorial"
- "keyword review" or "review of keyword", e.g. "article video robot review" or "review of article video robot"
- keyword test", e.g. "article video robot test"
- "keyword demo" or "demo of keyword"
- "keyword explanation" or "keyword explained"
The reason I think each of these keywords triggers video results is because in almost all cases a video result will be a better answer to the search query. For example, let's assume you are searching for the "Artisteer" product. 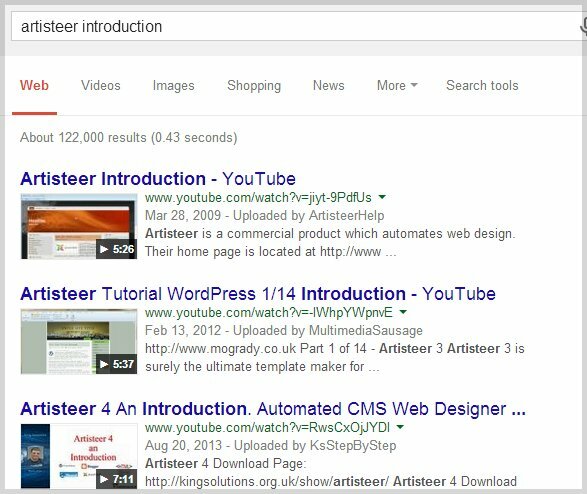 As you can check for yourself, there are no videos in the top five results for the keyword "Artisteer". So let's think of a variation of this search query that would be more appropriately answered with a video. How about "artisteer introduction" or "artisteer demo"? Sure enough you see a lot of videos! So what does this mean for you? What it means is that you should immediately start creating videos for all the video trigger keywords and their variations and start uploading them to YouTube. The thing to understand is that nobody else is creating videos for these keywords (most people are just too busy with website or HTML SEO) and so if you create a properly optimized video with a matching title, keyword and description - you stand an excellent chance of getting your video in the search results (in both on Google and YouTube) to generate huge amounts of traffic! Video Trigger #2: Add verbs to your keyword! Whenever there is a verb in front of a keyword, Google seems to prefer video results over the normal text results. 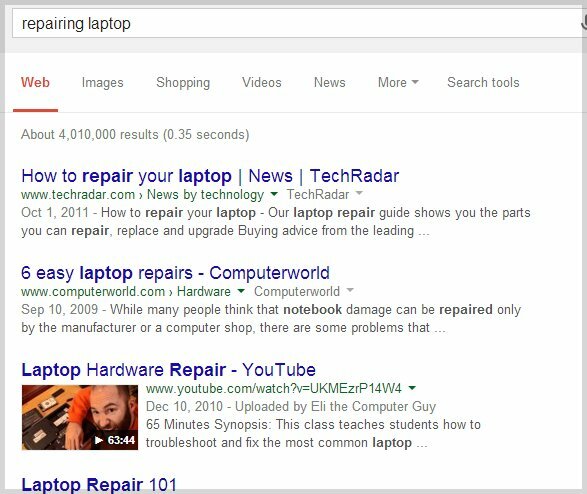 Take for example this keyword: "laptop repair": There are zero video results for the original keyword. Yet when you make it "repairing laptop", video results start showing up! Google shows videos when you turn "laptop repair" into "repairing laptop"
To simplify it, generally adding an "ing" keyword like "repairing, buying, etc" triggers video results. This works well with almost all keywords, even highly competitive keywords like "Weight loss" which doesn't show any video results, but when turned into "Losing weight fast", etc. it does trigger video results. Once you know what is triggering the video results - you can then optimize your videos to match these keyword exactly and get them on top of the search results quickly! However there is a lot more than just matching the title to the keyword. You need to craft the perfect description. Add a subtitle file to your video. Create backlinks and do social bookmarking with the similar anchor text. Add keywords to your video. As a matter of fact, I'm in process of making a whole new blog post on this subject which I will send over to you in my next post (it's almost ready). Video Trigger #3: Brute force method! This last method is extremely effective (but a little time consuming). Using Google's keyword research tool generate a list of keywords related to your niche. This includes all keywords including any "remotely related" keyword searches too. 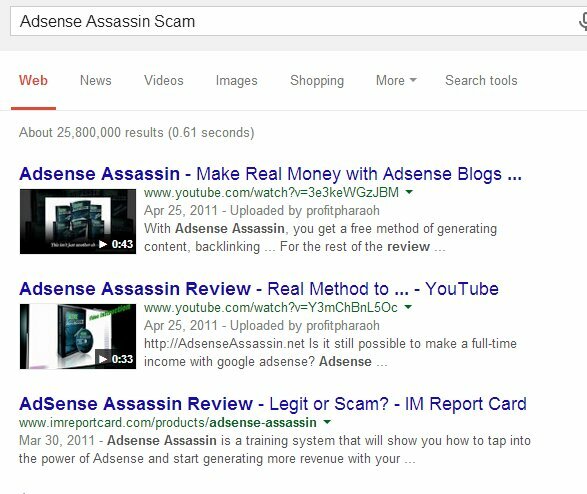 Then, one by one, do a search for all keywords and see which ones return a video result in the top 3 results. There are your video triggers! Make a swipe file of all these keywords, then start creating videos for each keyword and its variation and upload them to YouTube. You have a very strong chance that your video will be ranking in Google very quickly. However be sure to optimize your videos completely as described in this guide here. If there is interest, I can get one of our programmers to automate this method and make a tool which can tell you exactly which keywords are returning video results - so you don't have to do it by hand ;) Leave your comment below in case you're interested. Video Trigger #4: Reverse engineer existing videos! Reverse engineering always works! :) So, another method is to search your keywords on YouTube and make a note of all the top ranking videos. Then pay close attention to the video titles and try to identify the keywords or search queries in the title. 1. Google prefers to include top performing YouTube search videos in its Universal search. 2. 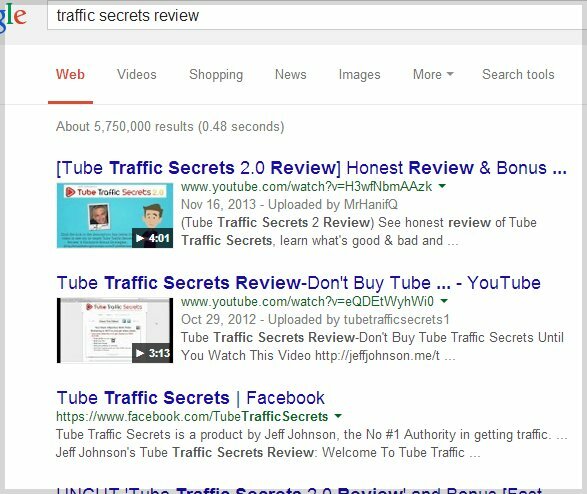 You have just discovered some hidden keywords that are triggering video results. Either way, all you have to do now is create videos with these exact titles, and descriptions and you can beat these videos with your own and start getting their traffic! There are two pieces to the puzzle. The first part is to create a list of keywords that trigger video results in Google. This is crucial because you need to know the exact keywords first, as only then can you optimize your videos for it. What I mean by this is that, if your video trigger keyword is "traffic secrets introduction" then your video title, description, content, backlinks, keywords, etc. must all be optimized for the keyword "traffic secrets introduction". This is because a generic video optimized for keyword "traffic secrets", etc. won't show up in Google. The second piece is to optimize the video correctly to match the trigger keyword. You have to convince Google that your video is indeed the best fit for the search. Thankfully, we have automated most of the video optimization part in Article Video Robot. 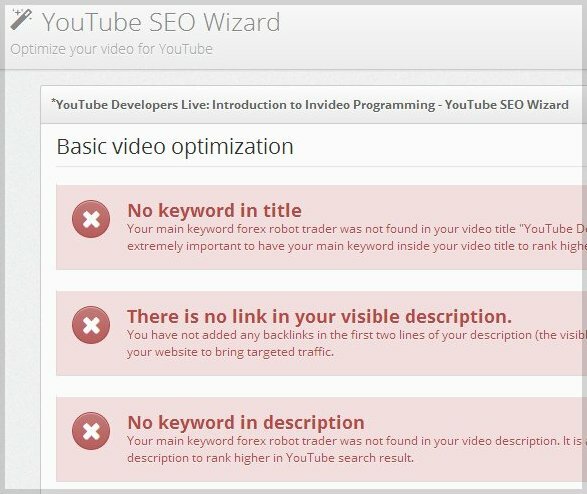 Our YouTube optimization wizard can analyze your YouTube videos automatically and tell you exactly what you need to fix, to rank for a certain keyword. 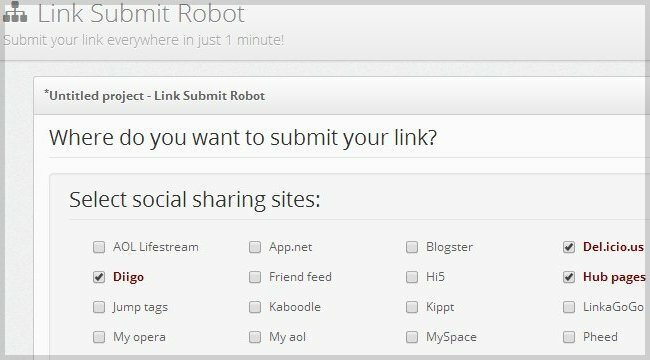 On the other hand Video Submit Robot can automatically submit your video to dozens of video and social sharing sites thereby creating backlinks to your video upload which is extremely important for video optimization (and can be really time consuming or costly when done by hand). 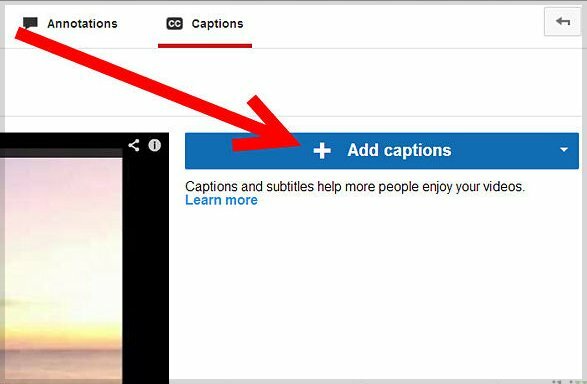 Our automatic caption creator tool can transcribe your videos and generate SRT files for your videos, which is one of the most recommended methods for video optimization. 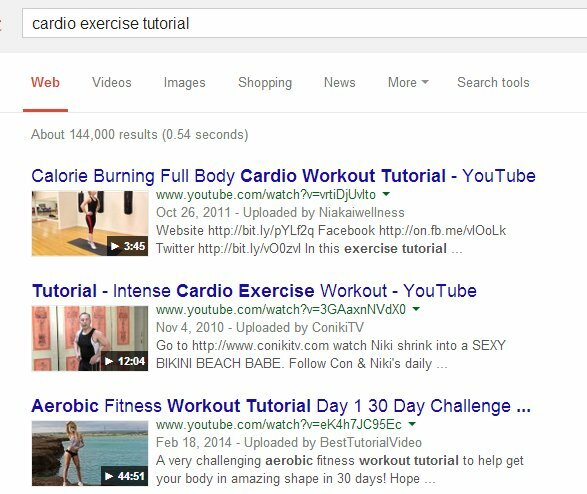 With the correct keyword and a properly optimized video you can start seeing results in as little as 2 weeks! So what are you waiting for? Find your video triggers keywords and create a video for it with a single press of a button using Article Video Robot. “really impressed with the post and the examples.. good work! “@Beverly: Youtube contributes about 80% to results.. but uploading to other sites can give you some extra edge over competition. “Awesome study. This could easily have been turned into a paid report. Instead you provide real value. I am starting a test run to see if this works out for me the same as yours. If the videos and content is good enough I think you could gain a good deal of income by setting the vids up for monetization. What's your thoughts on monetizing videos made with AVR? “Excellent post and it's given me an 'aha' moment. My videos for certain keywords dominate everyone of the 10 positions on the first page of google's video page, but I've always found it really difficult to get any of them to appear in the web searches - some do, but 90% don't - one of the reasons seems as if it's been staring me right in the face and I just didn't see it. you mentioned in the article above the following "If there is interest, I can get one of our programmers to automate this method and make a tool which can tell you exactly which keywords are returning video results - so you don't have to do it by hand ;)" ......Have you created such a app that will do this and is it in the members area? “Thanks everyone for the amazing responses. I am happy all of you found this study useful. I'll be publishing another one shortly. Also for those of you who have shown an interest in the "tool" it is already under development and will be released for our members soon (free of cost). “Wow! Very informative post. I learned from you -many thanks. I'm very interested in the automated tool that can tell exactly which keywords are returning video results.